• Zinc coated steel profiles. 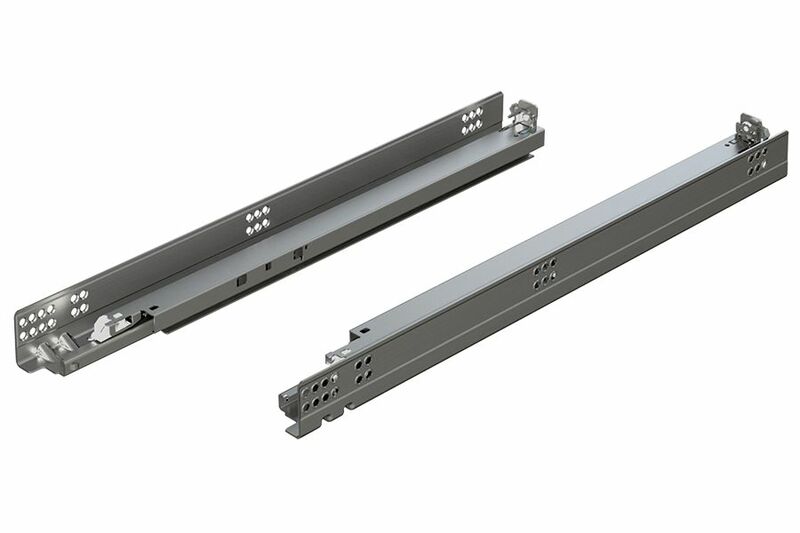 • Concealed roller carriage mechanism with permanently lubricated, synthetic rollers. • BLUMATIC spring loaded self-closing action. • Locking devices provide automatic latching, easy release for drawer removal and tool free height adjustment. • Force guided right side and +/- 1/16'' tolerance compensating left side. • 34 kg (75 lb.) Dynamic, and 45 kg (100 lb.) Static weight capacities. © 2019 McKillican International, Inc.